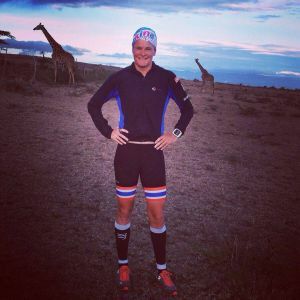 Dimity-Lee Duke, australische Profi Triathletin hat für eine Woche ihr Trainingslager bei uns im Camp in Kimabogo/Kenia aufgeschlagen, um sich unter optimalen Bedingungen für ihre nächsten schweren Triathlons vorzubereiten. 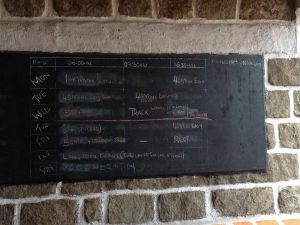 Sie schildert uns (in englisch) von den Traningsbedingungen, ihre Erlebnissen und ihren besonderen Begegnungen in Kiambogo. I have always loved to run. That feeling of being free, escaping from the realms of life, taking in the fresh air and exploring what the body and world has to offer is rejuvenating. My major inspiration to running has come from a number of people but what had always intrigued me were the Kenyan runners. I had heard and seen stories of what makes them so successful in the middle to long distance form of running, but it wasn’t until now that I can clearly see why. 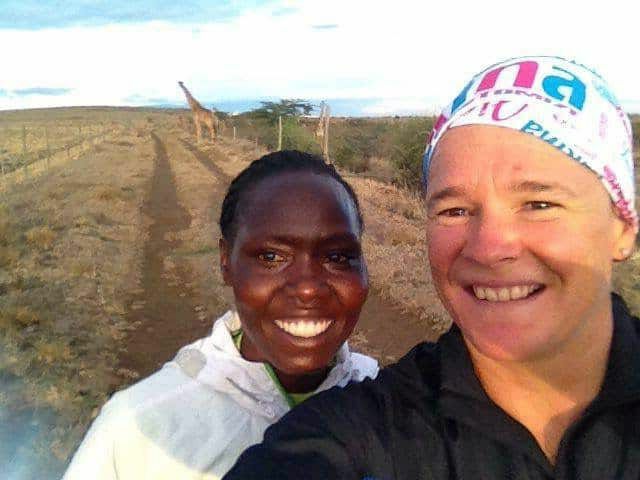 Being so close to Kenya post Ironman South Africa, I decided to visit these wonderful human beings and train with them in their own environment. The opportunity arose from my shoe sponsor ON, who also support a group of athletes. They are part of a non-profit organisation called “Run2Gether”. 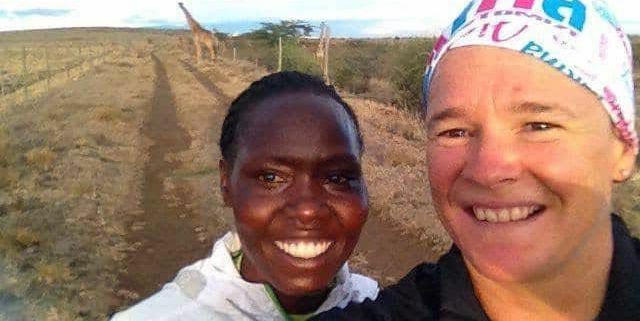 I spent 6 days living like a “Kenyan” athlete – and what an eye opener it was! 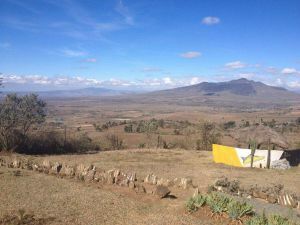 The Run2Gether camp is situated approximately 2hrs outside of Nairobi at 2500m above sea level. On arrival, I was greeted by my driver and as immediately leaving the airport saw Zebra’s on the side of the road (a bit different to the usual kangaroos you see in Australia)! We drove most of the way along the main highway out of Nairobi before I was told “we are just going off the road now and are 3km away”. Now before going any further I forgot to tell you I was in a small station wagon not really appropriately fit for the road we were about to travel on – but alas, after a few sketchy moments I made it to camp. The camp itself resembles very similar to an outreach camp found in Australia. There was a large dining room and kitchen to cater for the athletes and guests as well as communal rooms and amenities. 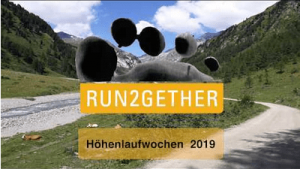 The Run2Gether organisation has done an amazing job to provide not only jobs for locals but give the athletes a safe and secure place to stay while they train. Similar to the Z-Coaching program in Phuket, the athletes follow a generic but somewhat specific training program outlined by the head coach. Depending on their focus, the athlete would participate in key workouts with the group and then adapt their overall run mileage or recovery runs as needed. My training partner Janet, a sub 33 minute 10km runner would be my guide for the week, showing me the run routes as well as keeping me in check and pushing me when needed. The running itself was something I had never experienced and one of the toughest run weeks I have done to date. A combination of factors made it challenging – from the altitude, to the terrain (there were no flat roads/tarmac, everything you ran was either up or down), the weather (temperatures included cool mornings and evenings as well as quite a strong wind most days), as well as nutrition (a staple meal included potatoes, rice, corn polenta, beans, root vegetables, and of course black tea). When you ran, there was no talking, rather complete focus on the task at hand – socialising would come later during rest at camp. I ran at least twice a day, mostly aerobic due to my limited adaption to the altitude with the morning session being the faster session with a recovery run in the afternoon. I also got to run on the local 400m dirt track on my last day for some leg speed whilst the “pros” showed me how its done knocking out 4 x 2km intervals which were increasing in speed. It was an effortless display and a sight to watch first hand. Not something you come across every day on your training run! During my stay, I was invited to visit a local school with the Run2Gether volunteers to donate much needed computers to teachers. Education, compared to the western world, is very simple but yet effective. 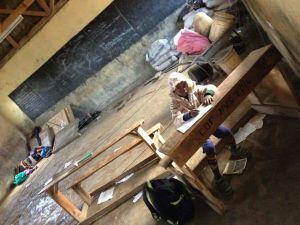 Children are taught both Swahili and English languages (there are also 42 different tribal languages in Kenya), and mathematics is taught the “old school way” with no calculators but a simple piece of paper and a pencil. There can be up to 60 students per teacher in one small “shed like” classroom. On arrival, I was consumed by enthusiastic and intrigued children wanting to touch my hair and skin – it was quite a moving yet humbling experience. There was no insecurity on their behalf and it was like that also on my training runs with children yelling out to say hello or running alongside for as long as they could usually barefooted (up to 2km mind you!). Some children have to walk up to 3km (one way) to school each day. I also got to present end of term certificates and awards. This usually comprised of a simple exercise book or a pencil to use for the new term. I also went to Sunday church with some of the athletes and other running guests. The Christian faith is somewhat dominated in these parts and attending was very uplifting for both myself and the local community. There was a great display of unity and joy and this was showcased through song and dance. My time in Kenya has definitely motivated me to get on with training and prepare for my next event to the best of my ability. 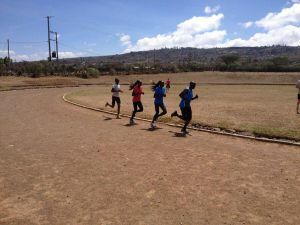 The battle for athletic greatness is in Kenya is competitive and tough and you can see the “battle of survival” through their training and lifestyle circumstance. One can only feel grateful for the opportunities to live the way I have and be thankful for the support from my family, friends and sponsors. Vielen Dank Dimity, für diesen eindrucksvollen und lebhaften Bericht! Good luck for your next competitions!! Mehr Infos zu Dimtiy findet ihr auf ihrem Blog (Quelle).